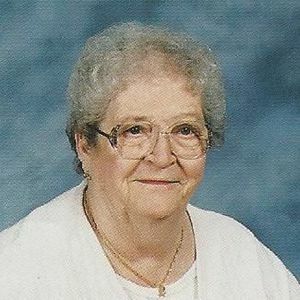 CENTRAL CITY – Eleanor Virginia Moore, 84, of Central City, died Monday, May 27, 2013 at Muhlenberg Community Hospital in Greenville, KY.
She was born Feb, 2, 1929 in Cook County, IL. to the late Howard Shipps and Marie Fox. She had been employed at Sears & Robuck and was a member of the First Baptist Church of Deltona. She was preceded in death by Denver Moore, husband and Marshall Rae Moore, son. She is survived by Edith Newman, daughter, Delores Novak, sister, Wendy Pressley, grand daughter, Willis Lint, grand son and several great grandchildren. 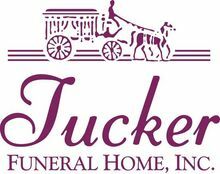 Funeral services will be held Wednesday, May 29, 2013 at 10:00 AM at Tucker Funeral Home in Central City conducted by Rev. Brian Jones with burial to follow in the Rose Hill Cemetery in Central City. Visitation will be Tuesday after 5:00 PM and Wednesday after 8:00 AM at the funeral home. The beautiful and interactive Eternal Tribute tells Eleanor 's life story the way it deserves to be told in words, pictures and video.